Everything Tahoe was formed in 2005 as a simple blog about South Lake Tahoe. Towards the middle of 2007 Everything Tahoe switched gears to develop a user friendly website that helps tourists and locals find great Lake Tahoe businesses, find events and plan their Lake Tahoe vacation. Our Everything Tahoe business directory allows business owners or managers the opportunity to create a free account and list basic information about their Lake Tahoe business. Everything Tahoe only allows Lake Tahoe area businesses on our website. This helps our users avoid the clutter of thousands upon thousands of businesses crammed into one website. You're searching for Lake Tahoe information and that is all we provide! Everything Tahoe makes money by selling ad space on our website as well as using affiliate marketing to provide additional services to our end user. Signing up with Everything Tahoe is fast, simple and free! To create your account and start leaving advice for others, click here. Once you've filled out the information you will receive a confirmation email. Follow the instructions in that confirmation email and your ready to start leaving reviews, respond to user Lake Tahoe questions and more. You're free to fill out your bio if you would like. Doing so will help you become a local expert. Users may search Everything Tahoe for all kinds of Lake Tahoe services. Form the home page, just type in any combination of key words i.e..hotels, food, movies, restaurants, etc..and our search tool will list all the relevant results. You may also choose a general area i.e.. South Lake Tahoe, North Lake Tahoe, Stateline, NV, etc.. Please keep in mind that we are always adding new features to our search tool and businesses are always being listed so our search tool is always growing! Keep Content Clean: We understand debates may start on some topics, but please avoid threatening or harassing others. Everyone is entitled to their own thoughts. Just because you may not like a event or business in town this is not the platform to stage any personal attacks. Conflicts: Any of your contributions to our platform should be unbiased! For example, please do not write any reviews on your own business or past employer. And by all means, do not write reviews about your competitors. Again, we provide this platform for those looking for true reviews and things to do in Lake Tahoe! We want our guests to feel confident that they are receiving excellent advice on our platform. Relevant: Please make sure any tips or reviews that you leave are relevant to the topic. For example, If someone is talking about a restaurant or asking questions, this topic would not be the place to go on a rant about your street not being plowed in the winter or you have to much traffic on your street during the summer! Keep it Private: At no time should you publish other people's personal information! For example; If you do not like a business or service in Lake Tahoe, do not post the owners personal address, phone number, etc.. And if you run across a user of website who is contributing content that you may not agree with, do not go into attack mode and post (if you know) their personal information. Like we said. We do not ask for much so the guidelines above should be pretty easy to follow. We really hate to remove accounts because the user violated any of our terms, but we will remove them if we have to! Keep Tahoe Kind! Do not use our platform to demand things form business owners. i.e.. threatening them that you will leave negative reviews on our platform for your own benefit! This is just plain extortion. Sure, if you're not happy with the service you received from a business, there is nothing wrong with asking for a refund but extorting for your own personal gain is just wrong and if we catch you, we will expose you for the fraudster you are! Just kidding, we will not expose you but we will delete you! Information related to your EverythingTahoe.com account: The information collected in our account registration may include your name, address and e-mail address. Visitors to EverythingTahoe.com will not be able to view any of the personal information that you provided. The only information visitors can view is information that you have personally made public such as; any information you use to leave business reviews, if you're a business submitting a listing; any information you submit such as; website links, contact information, social media links, etc.. Personal information is never shared by EverythingTahoe.com staff. Information collected automatically: When you visit and interact with EverytingTahoe.com, certain information may be collected automatically, including but not limited to, IP address,device type,browser type and webpages you have visited on our website and cookies (see cookie information below). Disclosure to service and service providers: Any information that your provide to us and information that we have collected automatically about your visit to EverythingTahoe.com will never be sold to outside parties. We only use this information to provide you a better website experience. What are cookies and how does EverythingTahoe.com use them? Cookies are basically pieces of information that are placed by a website in a storage section on your computer. Storage is usually located in your browsers history, sites visited, folders. Cookies are placed on your computer or mobile devices to help deliver advertisements, track unique website visitors and to track usage throughout our website. Other uses of cookies may include; faster login access and faster website load times. You may be able to turn off your cookies in our browser settings, but some features on our website or other websites around the internet may or may not display correctly. We also collect certain standard information that your browser sends to every website you visit, such as your IP address, location, browser type and language, website access times and any referring website address you used to access our website. Everything Tahoe uses the industry standards to safeguard your information to prevent unauthorized access. However, no commercial method of info transfers over the internet is known to be 100% secure. Although we take every step to safeguard your information, we cannot guarantee the absolute security of your information during transmissions. The services provided by Everything Tahoe are solely intended for general audiences and are not directed to any person under the age of 13 (thirteen) years old. NO one nuder the age of 13 should provide information, and we do not knowingly collect information from persons under the age of 13 years old. In fact, if we are made aware of any person under the age 13 has registered on our website, we will terminate any and all accounts created by said person. California's "Shine the Light" law (CA Civil Code § 1798.83) is a privacy law passed by the California State Legislature in 2003. It became an active part of the California Civil Code on January 1, 2005. It is considered one of the first attempts by a state legislature in the United States to address the practice of sharing customers' personal information for marketing purposes,also known as "list brokerage." The law outlines procedures requiring companies to disclose upon request of a California resident what personal information has been shared with third parties, as well as the parties with which the information has been shared, if any. This agreement describes your rights and responsibilities in your use of the Everything Tahoe website and services, both as a visitor and registered user. Unless otherwise stated, any new features or functionality provided on this website are also part of the services. By accessing or using our website or services, whether through a personal computer, mobile device or any other means, or submitting any content for publication or distribution, you agree to be bound by the terms of this Agreement. We ask that you read our entire Agreement before utilizing our website or services. You may use our website solely for personal use. In other words, you can not use our services to make money or for any other purpose or in any manner unless you have a separate written agreement with us that says that you can. A person is permitted to have one account on our website. 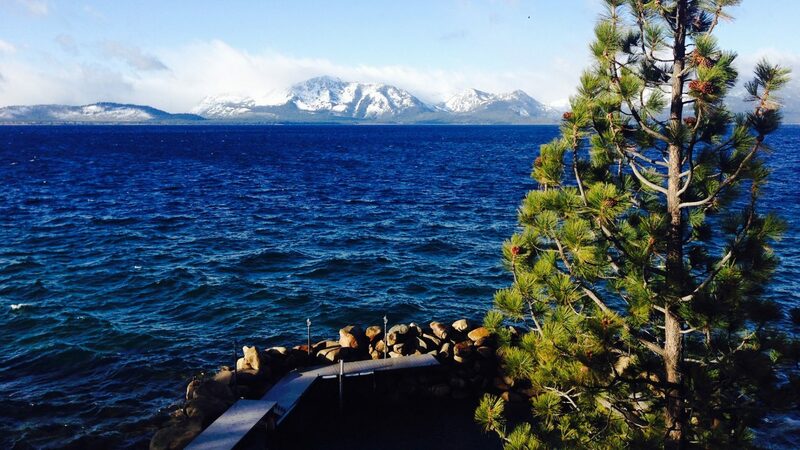 Businesses who list their Lake Tahoe business are also allowed to have one account on our website. Persons under the age of 13 are not permitted to use our website or services. All text, photos, videos, and other content you have submitted to our website (collectively, your "Content") shall remain your property and under your ownership. By uploading Content to our website, you grant us a nonexclusive worldwide license, to use, copy,and publish your Content, without payment or compensation of any kind to you. You grant us permission to license your Content to third parties and/or use your Content for advertising purposes. DO NOT publish any Content that you do not own or have the right to publish. Any Content that is defamatory, infringing, illegal or otherwise tortious is NOT PERMITTED on our website. If you violate any part of this agreement or our policies, infringe a third party's IP rights or otherwise engage in harmful behavior, we reserve the right, on our sol discretion, to remove your Content, and suspend, delete or deactivate your account or other privileges, or otherwise refuse service to you. When using our website, you are expected to be respectful of others. This means that whether you are being complimintary or critical, whether you are agreeing or disagreeing with the subject of any Content or another user's comment, you should act in a civil manner and refrain from attacks. Everything Tahoe is under no obligation to enforce our Agreement on your behalf based on a claim by you that another person/user has breached any part of our Agreement. We encourage you to let us know if you believe that another user has breached our Agreement or has engaged in other unacceptable behavior by reporting it to admin@everythingtahoe.com. Everything Tahoe will make every effort to investigate your claim and will make a sole determination, in our sole discretion, as to whether we take action and what type of action we take. When notifying us of alleged copyright infringement,the DMCA requires that you include the following information: (i) description of the copyrighted work that is the subject of claimed infringement; (ii) description of the infringing material and information sufficient to permit us to locate the alleged material (links, Screen Shots, etc..); (iii) contact information for you, including your address, telephone number and/or email address; (iv) a statement by you that you have good faith belief that the material in the manner complained of is not authorized by the copyright owner, or it's agent, or by the operation of any law; (v) a statement by you, signed under penalty of perjury, that the information in the notification is accurate and that you have the authority to enforce the copyrights that are being claimed to be infringed; (vi) your physical or electronic signature of the copyright owner or person authorized to act on the copyright owner's behalf. Failure to include any of the above will result in the delay of processing your complaint. IN NO EVENT SHALL EVERYTHING TAHOE, ITS AFFILIATES, PARENT COMPANIES, AND SUBSIDIARIES, AND EACH OF OUR RESPECTIVE SUPPLIERS, SERVICES PROVIDERS, LICENSORS AND LICENSEES, BE LIABLE FOR ANY DIRECT, INDIRECT, PUNITIVE, SPECIAL,EXEMPLARY, INCIDENTAL, CONSEQUENTIAL OR OTHER DAMAGES OF ANY TYPE OR ANY KIND (INCLUDING LOSS OF DATA, REVENUE, PROFITS, USE OR OTHER ECONOMIC ADVANTAGE) ARISING OUT OF, OR IN ANY WAY CONNECTED WITH THE SERVICES, INCLUDING YOUR USE OF THE SITE. THIS AGREEMENT, CONTENT ON THE SITE, ANY INTERRUPTION, INACCURACY, ERROR OR OMISSION, REGARDLESS OF CAUSE (HOWEVER ARISING, INCLUDING NEGLIGENCE), EVEN IF COMPANY OR OUR SUPPLIERS HAVE BEEN PREVIOUSLY ADVISED OF THE POSSIBILITY OF SUCH DAMAGES. This agreement is governed by California law as it applies to agreements entered into and to be performed entirely within California. YOU HERBY EXPRESSLY CONSENT TO THE EXCLUSIVE JURISDICTION OF, AND VENUE IN, THE COURTS LOCATED IN SOUTH LAKE TAHOE, CALIFORNIA, COUNTY OF EL DORADO, FOR ALL MATTERS AND DISPUTES ARISING IN CONNECTION WITH THIS AGREEMENT OR YOUR ACCESS OR USE OF THE SERVICES. If someone brings a claim against any of the releasees or any of their respective employees, directors, or officers, based on a harm you caused, your Content or any other breach of this Agreement by you, you agree to reimburse us for any costs we incur in defending against that claim, including reasonable attorneys' fees as well as all damages.